Music Video for "Diagon Alley"! Go West Young Wizards hits the west coast today! Lets rock out! Hello from TOUR in Minnesota! See you in Seattle! Premiering this summer, the awesome, INTERACTIVE, new "I Only Date" t-shirt! Show your love for your favorite wizards! These shirts will be available on tour, at LeakyCon, and (in August) on our Online Merch Table! Save money! Get awesome shirts! Now is the time, wizards and witches! We need to clear out our inventory of all these shirts from last year's tour to make way for NEW amazing shirt designs! That's right, we have unisex AND ladies shirts as low as $10! TEN DOLLARS! And we ship internationally! Don't miss out! Click the image to go to our online store for HUGE SAVINGS! Not all reboots are awesome, but this one is! 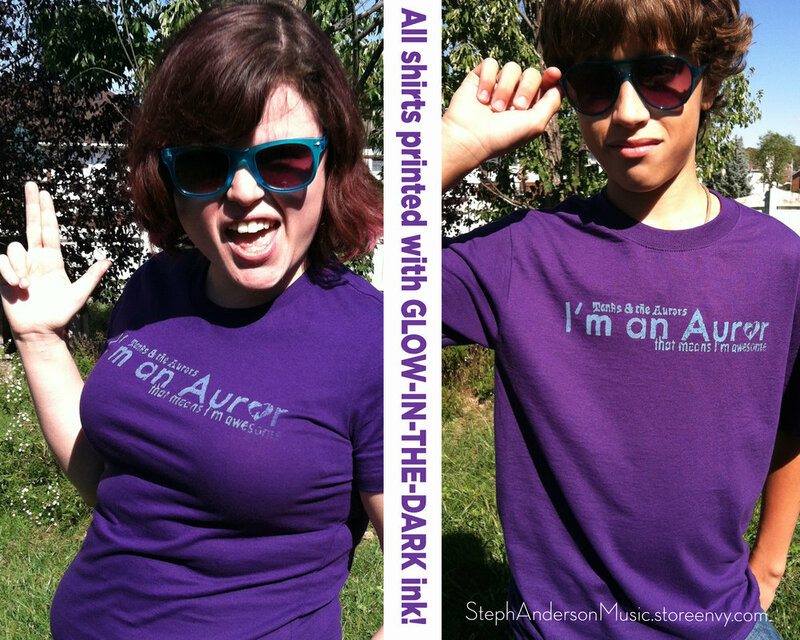 Our classic "I'm An Auror, That Means I'm Awesome" shirt is being printed (for a limited time) on Royal Purple shirts with blue GLOW-IN-THE-DARK Ink! These shirts will be available at our show next week in Chicago, and are now available for preorder on our ONLINE STORE! Our online store is also running a "We're sad we can't go to WrockFest anymore" promo, which means ALL items ship to the USA for $1 and international rates are 50% off! Don't miss out, visit our store now! We're always excited to be involved in Harry Potter events, and LeakyCon has continued to be in a class above all of the rest. We assembled a giant, motown-style band, and took the stage by storm. Check out the pictures that were just released of our set!